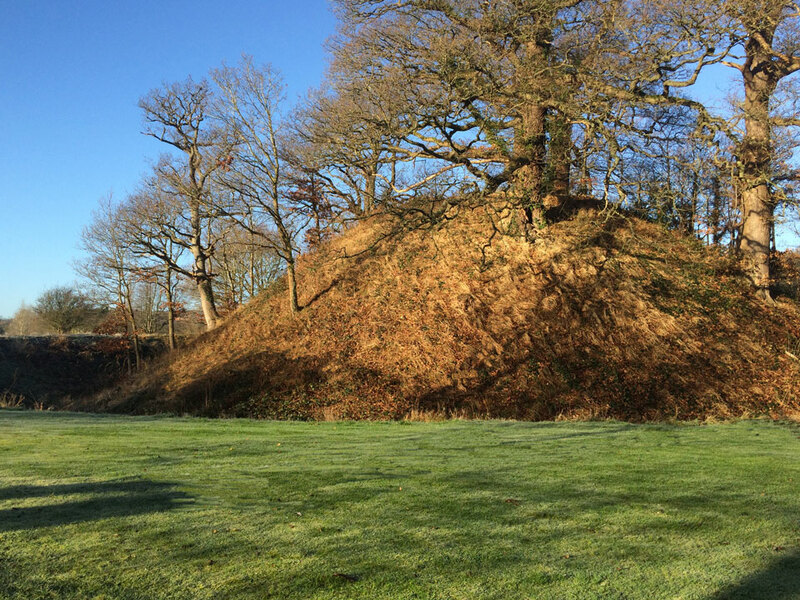 The steep sided motte, 30 feet in height, remains protected by a dry ditch on the bank of the River Severn. It is surrounded by a banked enclosure. 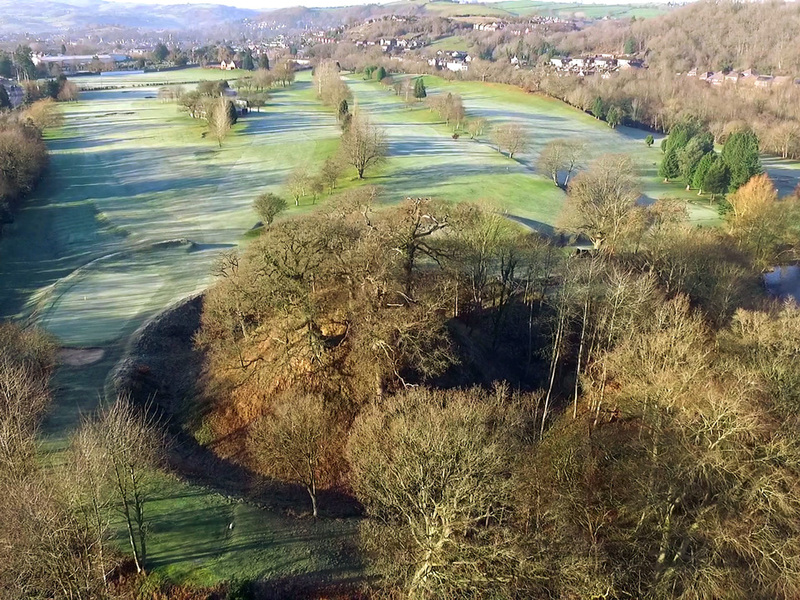 It was probably built by Roger de Montgomery in the 1080s to protect the important route alongside the Severn. 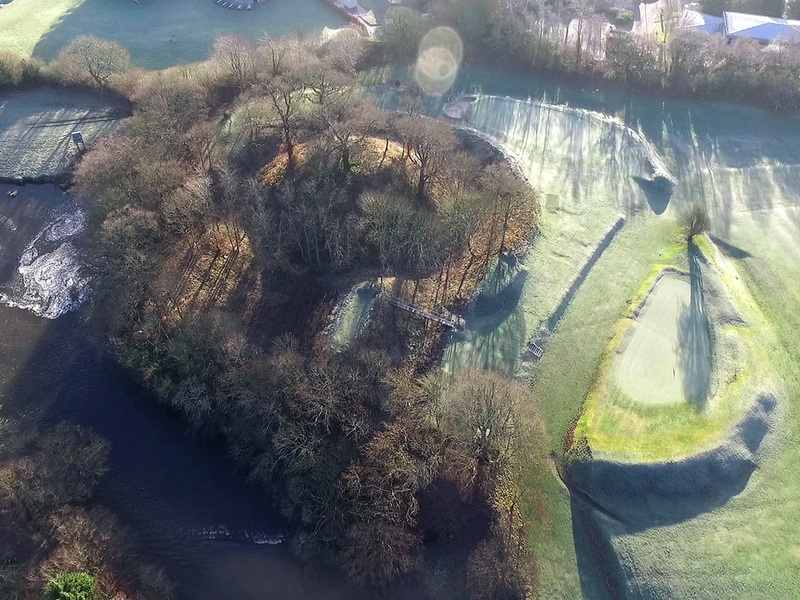 The site was damaged by the construction of a racecourse in the 19th century and later by landscaping for a golf course.